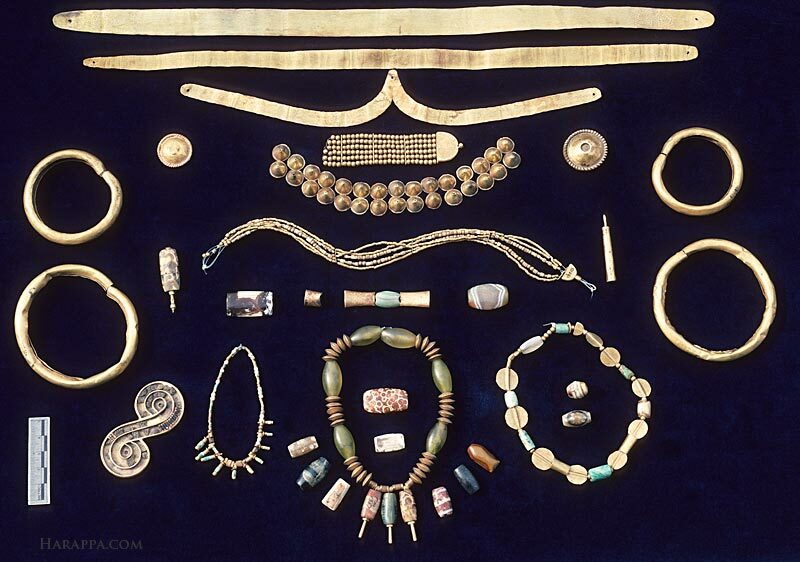 This collection of gold and agate ornaments includes objects found at both Mohenjo-daro and Harappa. At the top are fillets of hammered gold that would have been worn around the forehead. The other ornaments include bangles, chokers, long pendant necklaces, rings, earrings, conical hair ornaments, and broaches. Such ornaments were never buried with the dead, but were passed on from one generation to the next. These ornaments were hidden under the floors in the homes of wealthy merchants or goldsmiths.